The transmission is indeed a 7 speed, modified to survive happily to 1200Nm [885 lbs/ft — ed]. 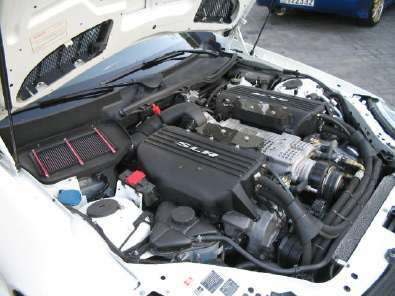 The Engine is an SLR unit, the 55 series engines are virtually identical in exterior appearance, internal components vary to suit requirements. The engine fitted is pure SLR with one exception. The SLK flexplate and SLR crankshaft run different bolt patterns, so the crankshaft fitted to this engine is a prototype that has now gone into production for various models. The SLR Kompressor configuration is unique. The black units on top of the engine are water cooled intercooler assemblies, no air filters as somebody advised earlier. As anyone will know who has driven an SLR hard in high ambient temperatures, the SLR intercooler water system is not capable of an adequately cool water supply and performance suffers because of it, so a large amount of the installation and design of this project was dedicated to intercooler temperature control. We have used a full sized E55 engine radiator with hand fabricated end tanks and placed it in front of the air conditioning condensor. A 10 litre water catch / swirl tank supplys cooled water to the 2 AMG intercooler water pumps and these pump water through the intercoolers and back to the intercooler radiator. Intercooler water temps have never risen more than 12 degrees over ambient. The airbox is now mounted above the battery for 2 reasons, The highest air pressure point on the vehicle is at the base of the windscreen and it also happens to be a good source of the coolest air possible.The SLR engine sump is larger than the SLK and runs a slightly different layout configuration, hence the need to change the front anti roll bar. We fabricated and adjustable chrome moly unit which is clearly visible on the under car shots. 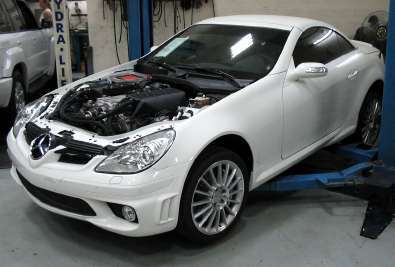 The SLK and SLR Motronic control units and wiring are very different in CAN addressing and pinouts, for this reason an E55 engine ECU and wiring loom was used and reprogrammed to suit. E throttle control, ESP, Engine fan control, injector sizing, ignition and fuel tables plus much more.  The exhaust modifications visible in the pictures were a temporary fix to establish noise levels prior to exhaust system development, this has now been updated and as anyone who has heard the car in anger will tell you, the sound is breathtaking. The only way I can truely explain it is every time I hear it, I am reminded of a summers evening in Pamona several years ago, watching Pro Stock qualifying. I honestly hope it comes through clearly on the video. Our ambient air temperature during summer can exceed 50deg C, this is the reason for the summer bonnet, during winter the covered bonnet will be fitted. Anytime under bonnet temperatures can be decreased, power will increase. Speaking of power, I beleive the standard SLR engine is rated at 625hp? Please be assured that with our 98 premium octane, an intercooler system that exceeds requirements, additional supercharger pressure via drive upgrades and some serious dyno time, the SLR engine is capable of well more than this consistantly. Power in this car? Adequate! 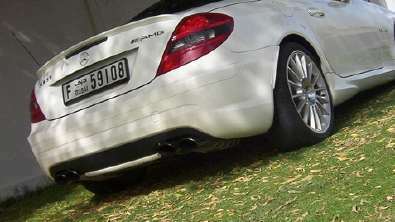 Additional weight over the front wheels is approximately half the weight of a passenger, weight balance is unchanged as the SLR engine and SLK engine sit in the same position. 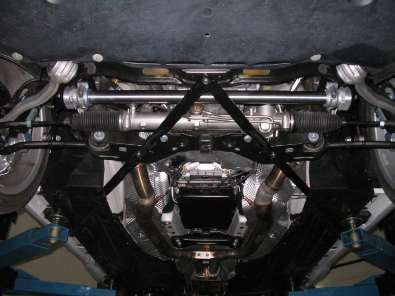 The front and rear suspension have been changed with uprated springs and shocks in the rear to better control the squat this power level produces and of course the front shocks needed changing because as one might expect, the front wheels almost lift under hard acceleration. Simple, the completed car is a quarter the cost of an SLR, its faster than an SLR because its approx 400Kg lighter, and the car is relatively inconspicuous. A personalised SLR has been ordered and will arrive when finished, but sometimes its good not to wave a huge flag. This car has something that the majority of engine transplants do not. It can, will and has been parked outside the front door of the Royal Palace and acknowledged with a smile that it matches the style synonomous with the name Mohammed Ben Sulayem. See also: Mohammed Ben Sulayem's car collection.